Discover incredible opportunities to experience the world at Saint Mary’s College. Whether you’re gazing at the Roman Forum in Italy or snorkeling with sea lions in Ecuador, you’ll broaden your perspective to include global environments, cultures, and social issues—topics with high relevance in today’s global economy. Studying abroad will expand your academic, social, and spiritual development through intercultural learning. The experience broadens your perspective and heightens your compassion for global issues. You’ll become more aware of ways you can make a difference in the world. Prepare yourself for leadership roles by venturing into foreign territory. Immersion in an exciting new culture pushes you to step outside your comfort zone. Plus, the broader global perspective you gain will inform your future career as well as your approach to life. 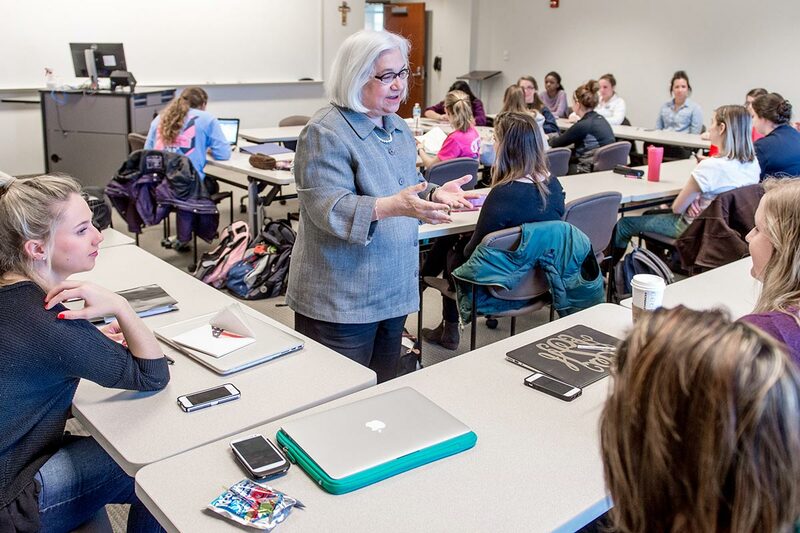 Saint Mary’s has offered students study abroad opportunities for over 40 years. We have an exciting range of opportunities that vary in length of time spent abroad as well as choice of country. Study abroad is affordable at Saint Mary’s because most of your financial aid will apply to our yearlong and semester-long programs. Other means of support are available to qualified students for the semester break and summer programs.